Tumba is a unique halloween tradition of the town of Paoay. It is usually held on the first day of November in time for the All Saint’s Day Celebration. It is not as common to other Ilocanos of other towns because everyone is busy on that day spending time and praying for their departed loved ones. However, once you set your time to attend and witness this unique event its guaranteed that you’ll surely enjoy it. This year was my third. This time around not only as a spectator but the local government of Paoay headed by Mayor Clemente invited me to become one of the judges in the Tumba competition alongside with Engr. Neil Ratuita, Dr Constante Salasac and Dr. Joven Cuanang. 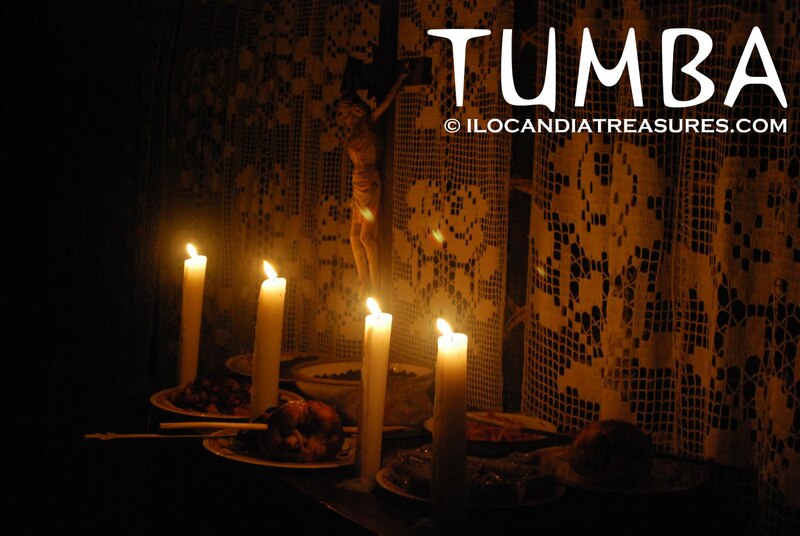 Tumba is a catafalque, tomb or altar. This is a long time tradition of the Paoayenos. According to the elders that I asked, since their childhood they have been witnessing this event yearly. It was just an exhibition before but they made it into a competition for around eight years now. Dr. Cuanang was his first time to witness the event and got fascinated. He wants this to be promoted and even suggested that youngsters shall be involved so that this tradition will be passed on to them. Even two of his foreign guests were caught in awe to see this event. It used to be a competition among all the town’s villages and that takes so long to visit and judge. But this year they made a cluster of villages, fusing them together and represent as a district. It took us only three hours to visit and judge the ten entries. There were so many things to see. They prepare a kiosk or room with the altar of course as centerpiece blanketed with crocheted linens. On top of it are the antique religious images plus the very old photographs of their departed loved ones. They place several lighted candles around it. Umras or food offering is the main attraction since after the prayer everyone can take part in the food. We judges were given the privilege to get first. Aside from the basic umras that consisted of sinuman, pilais, baduya, etc., they also have grilled fish that consisted of catfish, mudfish, tilapia, bokto, gurami (which is rare now), river shrimps, roasted whole chicken, and so much more. The caratay took the attention of the foreign guest which she asked of me. I told her that it’s a hanging refrigerator. It’s a conventional way to hang an open basket to put all the cooked food inside to make it last long because of the ventilation. The winner this year is the district of Nagbacalan where there was participation of young and old. The children were playing games outside, some oldies were cooking molasses in a big pot and the other old men were playing musical instruments while they sing. The crying women were on the replicas of tombs. There was also a casket we have seen in another district. Inside the kiosk were the old women clad in very old inabel clothes and black veils reciting a prayer with their rosaries. We have seen some of them wearing the old Chinese sandals. They also had the side show which is like a carnival horror show. You have to enter in a dark room and you’ll get to see Frankenstein and other characters. You’ll get frightened indeed. Mangarawwa is the term they call by taking some of the food. This tradition is very interesting for me because I learn each time I attend and of course I was able to take home a bag full of food. The Ilocandia Photographic Society holds a photography exhibit entitled Saringit at the Laoag City Hall Auditorium. 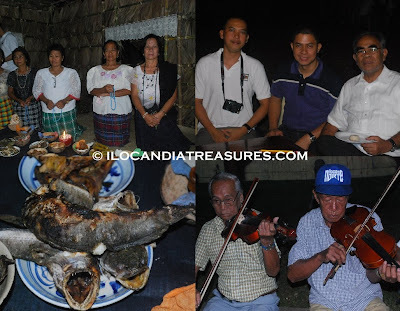 This is a photo exhibit of the Ilocano traditions and practices that will run from November 24-28, 2010. This exhibit also features the painting and other artworks of artists from various places of the country in celebration of the 7th Sunrise Festival with the theme Ylocosining: Hidden Treasures of the North. It is spearheaded by the Maharlika Artists and Writers Federation.